Sense’s engagement platform increases loyalty with a more human and personal contractor experience. Sense automates, personalizes and optimizes communications for key stages of the candidate and contractor lifecycle, while uncovering actionable insights to increase engagement and lower attrition. Keep talent engaged and up to date, and never let follow-up tasks fall through the cracks again. From interview reminders and tips to first day check-ins, Sense keeps you top of mind with candidates and contractors throughout the talent lifecycle, while freeing up your team from routine processes. 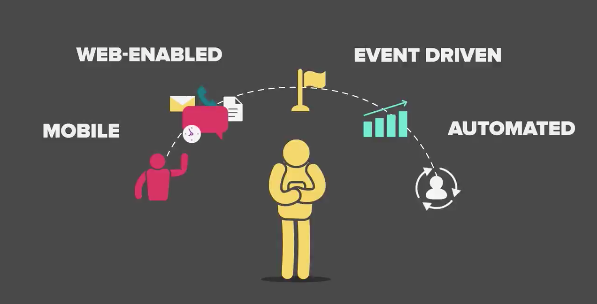 Smart workflows personalize and trigger email and text messages at the right moments for maximum impact, with engaging video and rich media content. Messages come from your team, and include surveys, NPS, reminders, and check-ins. You've spent resources finding the best talent, now maximize your ROI by making sure they stick around. Sense lets you design and deliver candidate and contractor experiences that can become your competitive advantage. On average, Sense customers see a 50% increase in redeployment and a 20% decrease in attrition. Whether keeping contractors informed and engaged, or giving your staff early warnings of potential no-shows, Sense is always working to help your team and talent put their best foot forward and delight your clients. Keep a realtime pulse on NPS and satisfaction and uncover insights into what's working and what's not. 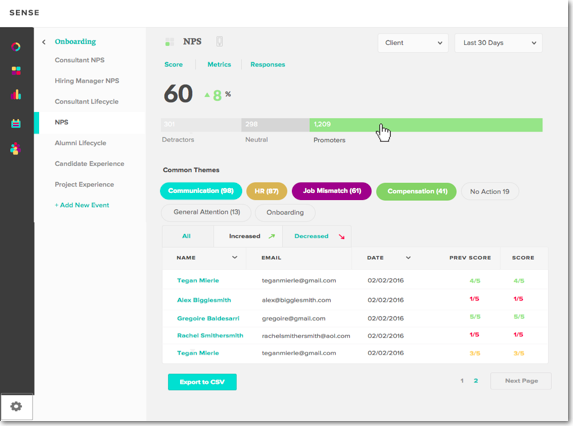 Instead of long, annual NPS surveys, Sense keeps track of candidate and contractor NPS with pulses that show you exactly where you're winning and losing with your talent. Uncover drivers for satisfaction, and drill down into NPS by recruiter. 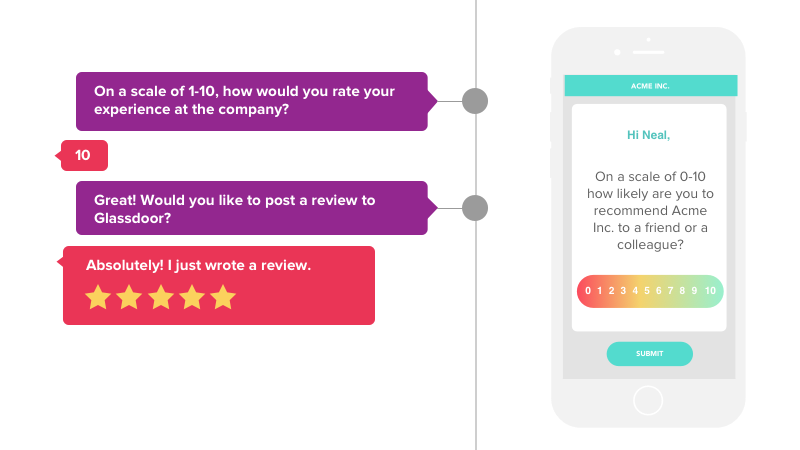 Sense also helps you improve and amplify NPS in realtime, flagging detractors for personal follow-up and prompting promoters to leave a review on Glassdoor. 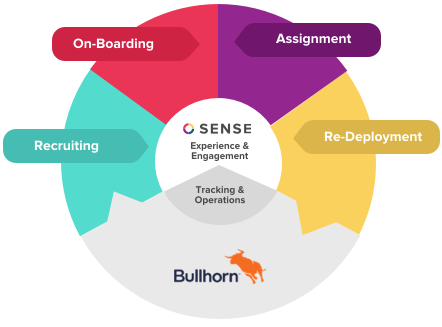 Sense lets you leverage your existing Bullhorn data to create engaging candidate and contractor experience, while enriching it in the process. Our two-way integrations use your existing processes and events to trigger and personalize messages, while updating Bullhorn data with new contractor information.